Rose Day is the first week of Valentine's week. It is on this day when people start celebrating the week of love. 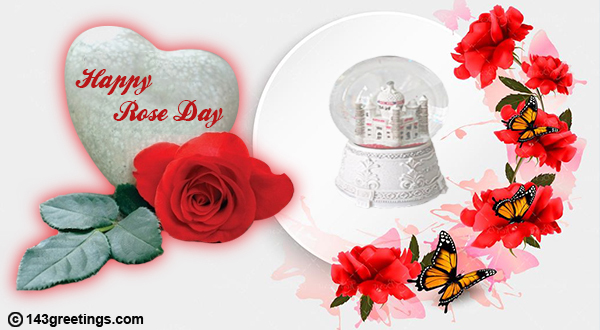 Rose Day falls on February 7 every year. On this day, people exchange roses of various colors. People wish their loved with roses and confess their feelings which they have for each other. Rose themed gifts are also sent to friends and loved ones on this day. 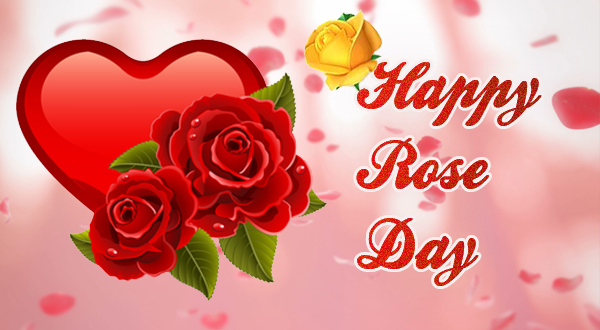 If you also want to celebrate Rose Day with your beloved send them amazing wishes and messages on the occasion of Rose Day. Express your love for someone special in your life and make them feel important on this day. You have filled my life with the fragrance of your love. Wishing you a happy Rose Day! A garden without a rose is just barren land and so is my life without you. Happy Rose Day! Love is in the air, so gift your girl a rose and tell her that you really love her. Happy Rose Day! You Love is as beautiful as the prettiest rose in the world. Happy Rose Day! A wonderful woman like you deserves an awesome gift. So, on this Rose Day, I am gifting you a beautiful bunch of Red Roses. Happy Rose Day, sweetheart. Red is the colour of love, so I am presenting you a red rose to tell you how much I love you. Happy Rose Day! Just like a rose fills the air with its fragrance, you have filled my life with love and joy. Happy Rose Day, dear! Sending you lots of roses for signifying my never-ending love for you. Love you!......... Happy Rose Day! I asked for a flower but God gave me a rose...You are the rose...Happy Rose Day!! Rose is not just a flower but a symbol of love...I love you... 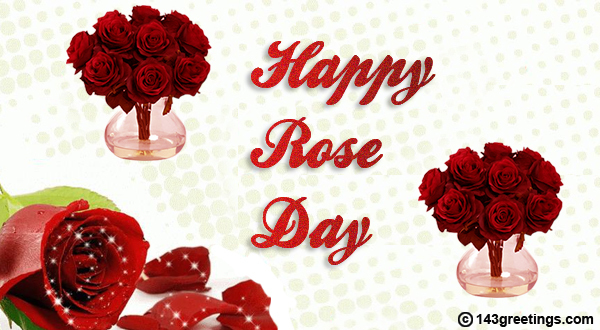 Happy Rose Day!! You love is like a rose, it refreshes me every time I feel it. Love you so much.. Happy Rose Day darling! Our love is like a rose.. it will bloom and bloom.. forever.. Happy Rose Day!! Love can be expressed in many ways...one is to send a bunch of lovely roses my love...Happy Rose Day!! Red is the color of roses and red is the color of love... I love you... Happy Rose Day baby! Roses are really delicate don't touch it with hands, my love is also the same... don't throw harsh words on it... Happy Rose Day!! Like a rose can fill the room with fragrance, your love has filled my life with love... Happy Rose Day!! Valentine's week begins with Rose Day which falls on February 7 each year. This day is important as with this day begins the week of love and romance. It is a special day for all the lovers as on this day lovers send roses to their beloved and confess their feelings to them. If you are looking for the right words to propose the love of your life or are thinking of sending some romantic and loving word to your darling then you are at the right place. Send your girl some fantastic rose day messages and make her feel important on this day. Exchange beautiful wishes and express lots of love. With these Red Roses all I say - Keep the fragrance of love in our relationship as fresh as these roses are. A flower can say thousand Words - I'm giving you this bouquet of roses to make you understand my feeling my love! I don't find any other interesting way to express my love for you. The red roses just for my life. Roses are red and the sky is blue. You don't know my dear how much I love you. How amazing it feels when you have someone to love who also loves you back. One should never let that amazing person go. This Rose Day wish your boyfriend in the most romantic way. Send him the most wonderful and lovely messages which are surely going to touch his heart. 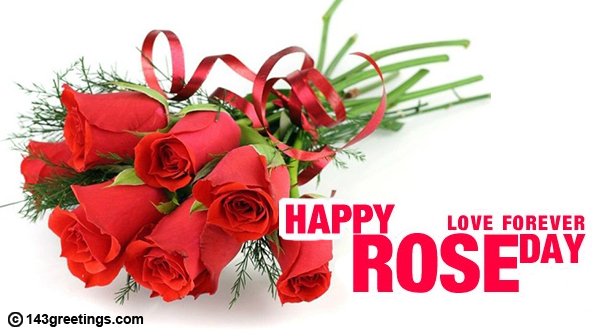 We at 143greetings have compiled some best messages and quotes which you can send to your boyfriend on Rose Day. Express how much you love him and how much he means to you in our words. You can share these messages on any social media platform including WhatsApp, Twitter, Facebook or Pinterest that too free of cost. So, hurry up and share Rose Day messages with your love now. I don't know whether I am perfect for you or not, so sending these roses to know your mind. I love you my sweetheart, and I want you to accept me as thorne if you can't do it as rose. Keep smiling and remain fresh as the roses. Spread your fragrance to make everyone fall in love. On this day I have selected the red rose for you dear! Now waiting for your revert. I am sending you the bouquet with roses in different colours. Select the one for me and tell me your secret. Ur the most special to me amoung all, as the roses are in flowers. Happy rose day, my love.